Forensick started out in the year 2001 as only two member band: Igor on drums and Oscar on guitars and grunts. After some rehearsals they recorded their first promo on CDR, "Sick Rehearsal Promo", and as its names tells, was recorded on a live jam at rehearsal room. This promo is nowadays totally sold out, because it was a seriously attack to extreme metal´s underground due its brutality and sick sound. 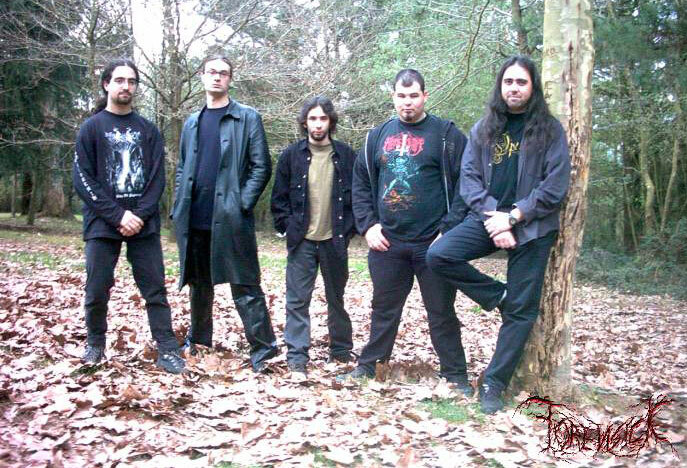 Some months later they were reinforced by Jorge, from Necrolust on the second guitar, recording their first studio work "Splattered Innards" which was finally released through Genital Herpes Records on February 2004. A bit before entering to the studio for that recording sessions, Juanma took bass. With full line-up they hard rehearsal and planned some gigs that when Oscar left Forensick were played with the aid of Biopsia´s frontman and guitar player, Victor. But also Jorge decided to leave the band due health and personal matters so, in order to continue with sonic mutilations, Juanma picked up his old guitar and both, Igor and Juanma started to write new more insane, fast, brutal, technical and sick stuff than ever. On December 2002, Raul joined the band to smash ears with bass and Jonathan made the same with his esophagus. And again with the full line-up, stages suffered the massive blood and entrails discharge in the form of brutal death grind metal on its most twisted and sick way, having a good test of it bands that shared stage with Forensick, such as Avulsed, Velocidad Absurda, Continuo Renacer, Venereal Disease, Numen, Impure, an so on, until the band decide to left appart gigs to hardly prepare their first full length, that will be released through Necromance Records on 2004. On March 2004 Maciej takes the second guitars spinning the sound of the band to the maximum precision and brutality. On April 2004, Jonathan is out of the band and Rafa is the replacement for the vocal works. Beware of the corpse grinders!!! Forensick. Brutal death metal assault!!! !